The activities of ICAPGROUP dedicated to glass industry is performed by STAR, operating since 40 years in the field of applied Automation. STAR offered and offers turnkey solutions to the major industry groups, as AGC, Carlex, Eurokera, Fuyao, Guardian, NSG, PGW, Saint - Gobain, so that today we can safely more than 33 car brands all over the world installing on their vehicles glazing produced through STAR technologies and solutions. STAR has two locations: one in Italy and one in China to control the automotive market and architectural glass worldwide. 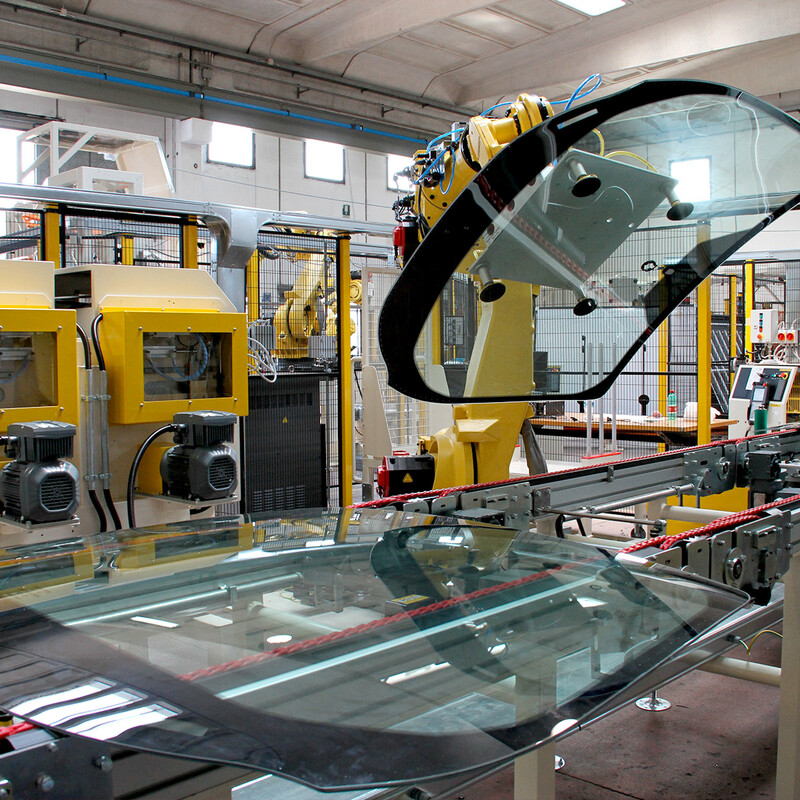 We are partners of ABB, FANUC, COMAU and KUKA for robotic applications in glass division and we inherited all ABB patents and know-how related to glass processing. Tires assembly on wheels is one of our activities in the automotive sector. It is a perfect sample of automation. Our lines of tires assembly on rims allow to optimize production, reducing assembly time, improving reliability index to guarantee a correct installation. We design and install systems able to assembling wheels of all sizes, from 4 inches, used for agricultural tractors and trailers, up to 38 inches in heavy use in agriculture. We have 4 areas of application in this sector: Automotive, Trucks, Agriculture light and heavy. Working close to the producers helped us to understand better their needs and to offer them more and specific facilities, really tailored, more efficient and flexible. 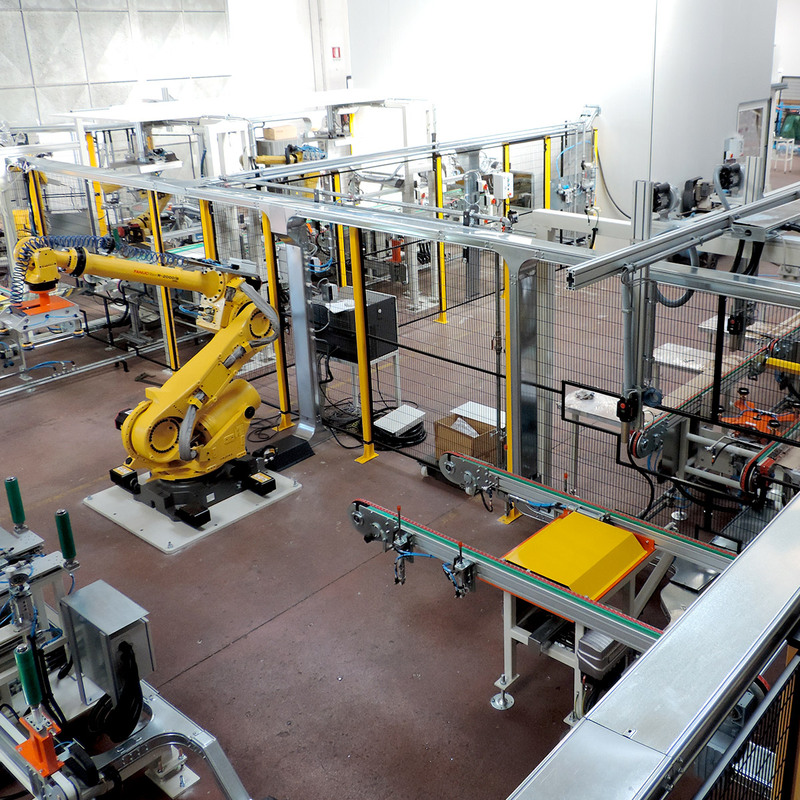 Our plants can operate a fast model change, and work concurrently on different products on the same line. The pharmaceutical industry, for special care and complexity of the system, needs high levels of reliability without compromise. It is a challenge for everyone involved in plant engineering, at every level. 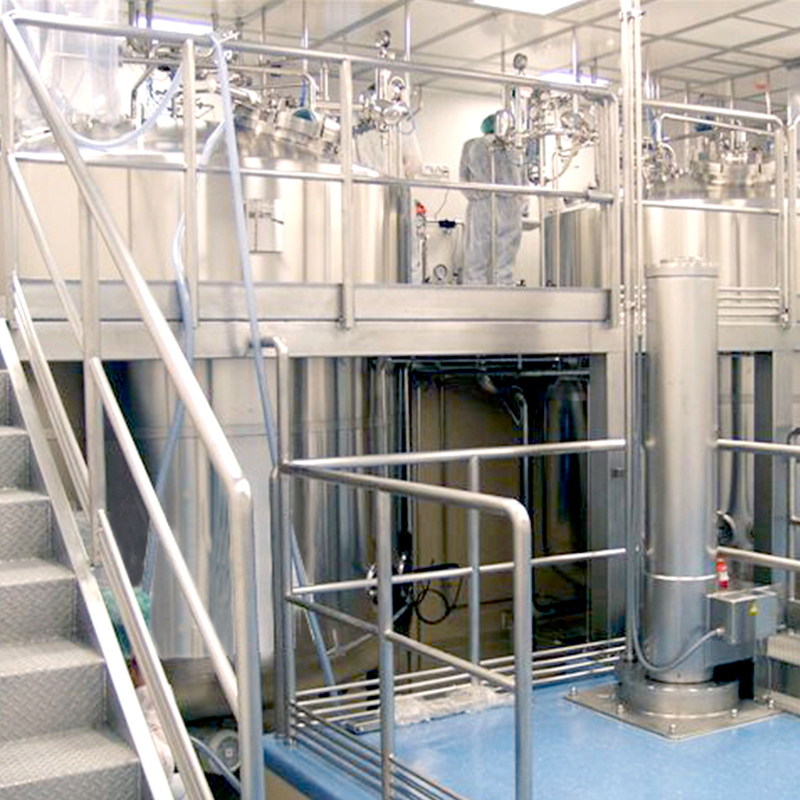 The pharma division of ICAPGROUP provides automated robotic designed solutions specific for the pharmaceutical industry; they are projects enveloped through years of experience in the field of robotic automation and machinery equipment. It matches with a consolidated know-how managing complex systems through internal development of custom software and use of vision systems for various purposes: from robot control to quality supervision. In observance of GAMP and FDA we design reliable solutions for environments compliant with the ATEX standards. The vast experience on several fields as automotive, pharmaceutical or handling of heavy loads allows us to respond the problems of each type of the production chain and makes us sure to improve its performance in full compliance with its specific needs. 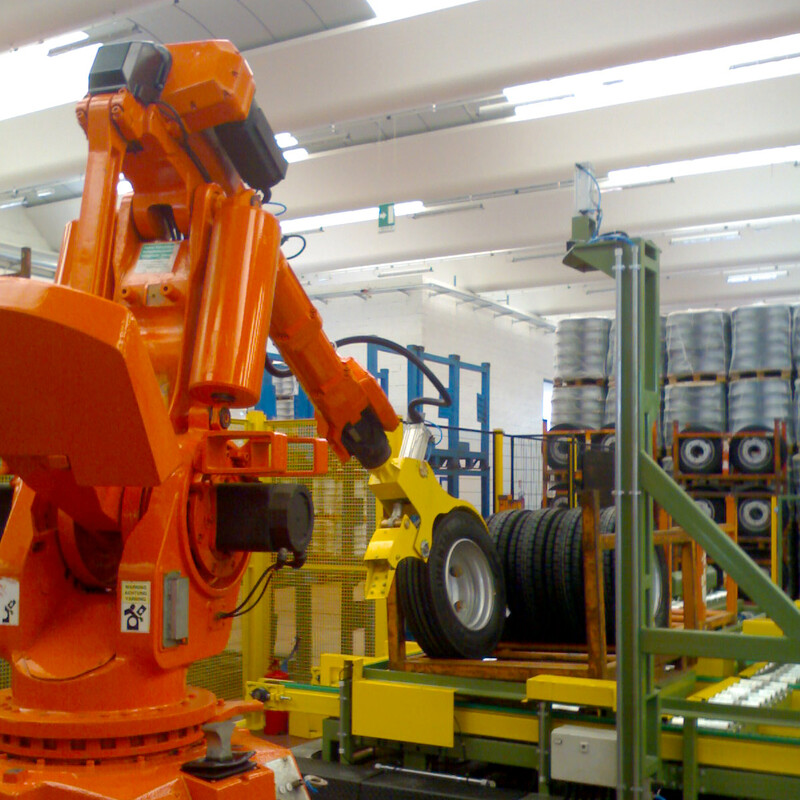 Our ability to offer systems fitting with your activity makes possible to achieve palletizing solutions, by robots and gantry version, welding and assembly activities, handling and robotic plastic smear. 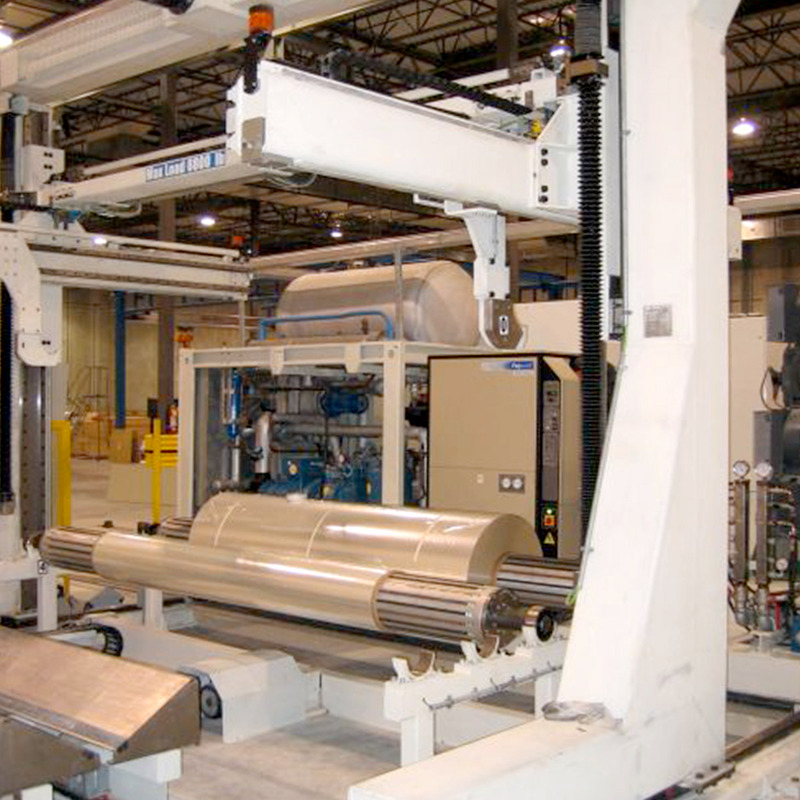 Metallized film or paper producers often have the problem for handling heavy reels with maximum safety for the operators, high precision in positioning and maximum reduction of the downtime during handling. ICAPlants has developed Handling System for reels and heavy loads, based on machines and auxiliary equipments that can solve handling problem in the areas of the metallization plants. Such systems allow the loading and unloading of the reels from the metallizer in a reliable and safety way. For example using anti-collision devices between axis and reel during loading and unloading cycle, a typical problem when the metallizer is loaded by crane. Trolleys and storages systems complete our product range for all kind of handling needs.